The Kettle Slayer points to the large comforter bag against the wall. 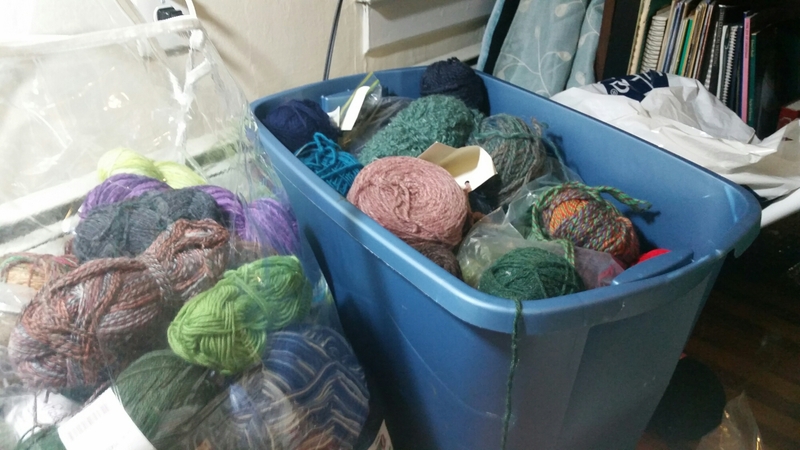 “You don’t need to buy sock yarn for a loong time.” He pauses, inspecting the bags and totes of yarn around the room. Ah yes, the joys of sock wool! I’m busy using up my odds and ends making some zingy multi-colour / multi pattern cot blankets. I don’t have a plan for them, but I’m thinking about selling them to make some money for one of my favourite charities – the local city farm. I’m playing around with that idea at the moment. I do like your blog – will be visiting regularly. 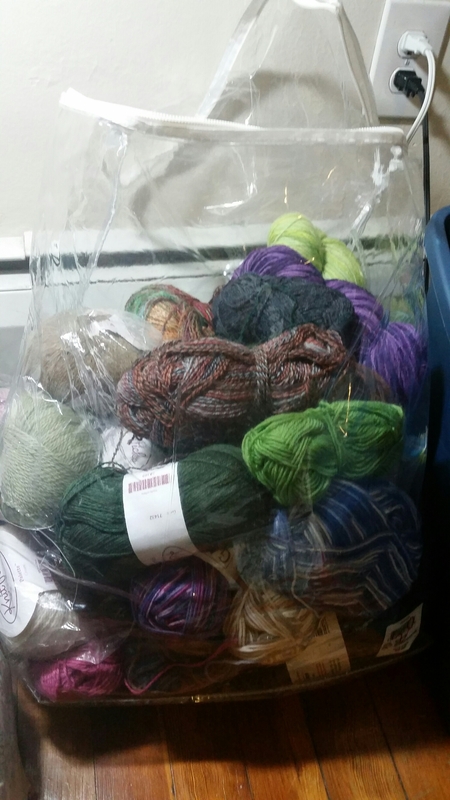 Oh man, I love your stash of sock yarn!! So awesome! And yes, it is so nice to be understood. 🙂 You have a good man!